When you venture out on a trail with six people, you need to be prepared to feed and water them if you want to keep them happy and motivated. We may or may not have learned this the hard way. Trust me, you do not want to find yourself in search of a geocache that turned out to be harder to find than you thought in the middle of an otherwise quiet and peaceful hammock forest with four hangry kids and a hot and tired spouse. The temptations are far too great. We have a variety of soft and hard coolers of all sizes for in the car and for a quick schlep to a picnic table or beach spot and for keeping a whole weekend’s worth of food in for camping trips, but we lacked a comfortable backpack cooler for hiking. Seriously. This backpack cooler has proven to be a sturdy and useful addition to our camp gadgets. We no longer head out without it. While it looks fairly compact, it actually holds enough water bottles and snacks for the 6 of us to do at least a 5-mile hike in the Florida sunshine. We don’t typically go much further than that as the youngest member of our team is only 5 years old so just one of these coolers works well for us. The side mesh pockets hold our sunscreen, maps and a small camera or phone. The main compartment holds an ice pack and 6 insulated reusable bottles of water, gatorade, etc. The top compartment holds an array of snacks. You can pack a lot into this space. Here we are, nowhere near anything, yet happily meandering through a prairie and not about to harm each other, because we are hydrated. It’s also versatile. As we still homeschool two of our children, this backpack is perfect when three of us head out to a class or field trip at a nature preserve or beach. We can keep our drinks, sandwiches, fruit and other snacks cool and it’s not too heavy or bulky to schlep around. We’ve used it on bike rides and even stuck it in a plastic bag to put in a tube when we went fossil hunting on the Peace River. Here’s to staying hydrated and keeping (our) cool! 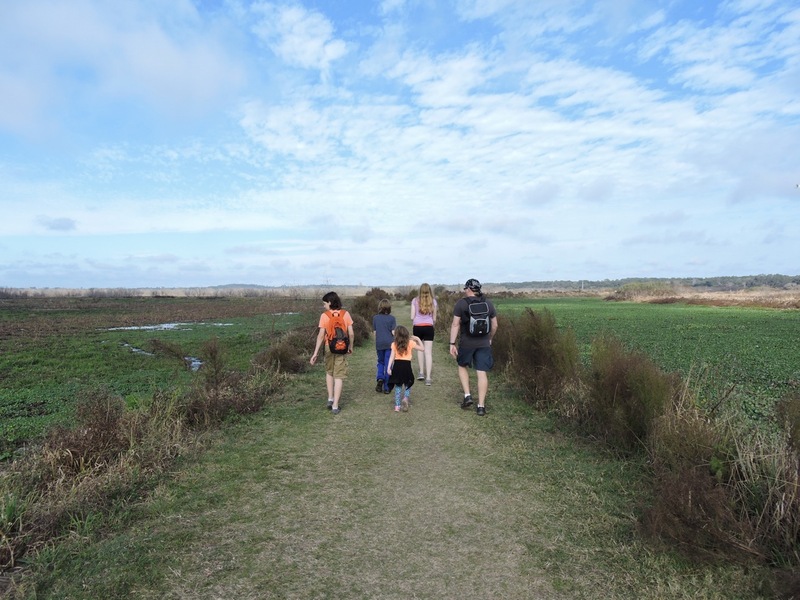 *Photos are from our camping trip to Paynes Prairie Preserve State Park.